Pacifica Senior Living Oceanside offers luxury assisted living in Oceanside, CA. Our Heartland™ Assisted Living program is ideal for those who require a bit of assistance to remain living independently but still have a strong desire to live a full, engaging, active lifestyle. Offering a unique combination of people, lifestyles, services and care, Heartland™ Assisted Living delivers the optimal balance of independence and support. 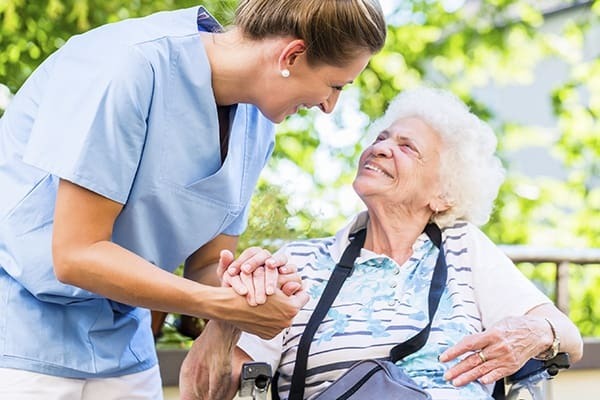 Our dedicated staff provides personalized 24-hour assistance ensuring that our assisted living residents enjoy the freedom of choice, dignity, respect and the security of care. And, families enjoy the peace of mind that comes from knowing their loved ones are happy and well cared for. Assisted living residents at Pacifica Senior Living Oceanside enjoy a variety of services and amenities in one affordable monthly rate. There are no hidden fees!